Kiara, hope i spelled that right, and Rosie were very helpful, nice and efficient. 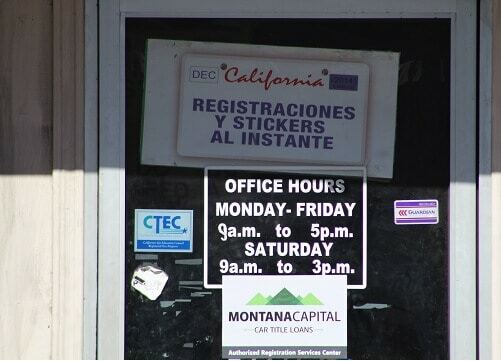 MVO Cheap Traffic School & Income Tax provides registration services for Montana Capital Car Title Loans customers. 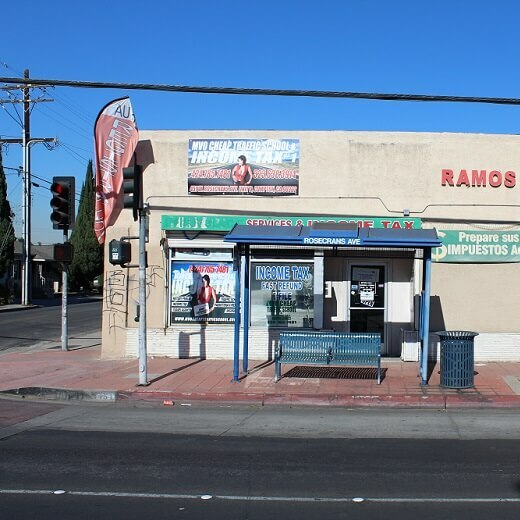 The store is located at 451 W Rosecrans Ave, near the intersection with N Aranbe Ave. 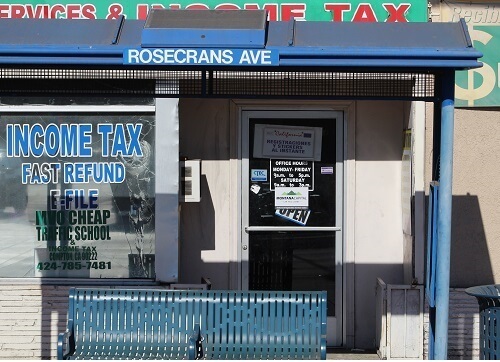 If you live in Compton and in need of registration services, stop by MVO Cheap Traffic School & Income Tax that works with Montana Capital Car Title Loans in Compton. MVO Cheap Traffic School & Income Tax provides our clients with unmatched customer service. Montana Capital Car Title Loans does not issue loans at this location. Situated in the southern region of Los Angeles County, Compton, California is one of the county’s oldest cities. In 1888 it was incorporated and is referred to as “Hub City” because it’s so central to Los Angeles County. With relatively young residents, the average age is around 25 years old, as opposed to 35 years old in the rest of the country. Compton has recently been called an “Entrepreneurial Hot Spot” and is recommended as one of the better places in the nation to begin and grow a successful business. Out of 88 cities in the Los Angeles County area, Compton received a rank of Number Two for business. That’s quite an honor for a small city like Compton to be known as a great place to begin a business. If you are thinking of starting your own company but are lacking money, we might be able to help you if you own your own car. Actually, if you need money for any reason you can contact us for a cash loan. It doesn’t have to be to begin a business. You can use the personal loan for anything you need. Our loans begin at $2,600 and can go higher, depending on your personal situation and you vehicle. Turn in your request to Montana Capital Car Title Loans in Compton. Once we see what kind of car you own we can determine your eligibility for a car title loan. We will use the value of your car (if it’s worth enough money) as security for a quick cash loan. Besides the value of your car, you need to be able to meet our credit standards and assure us that you’ll be able to repay the loan. If all pans out, one of the workers at Montana Capital Car Title Loans in Compton will contact you to continue the loan process. If you are pre-approved for a quick auto title loan from Montana Capital Car Title Loans in Compton, you don’t need to hand over your car. We know it’s important for you to keep driving to work, school errands or wherever you need to go. Rather than taking possession of your vehicle, we can use its value as collateral only by putting our name on the car title. Don’t hesitate – we’re waiting to hear from you!